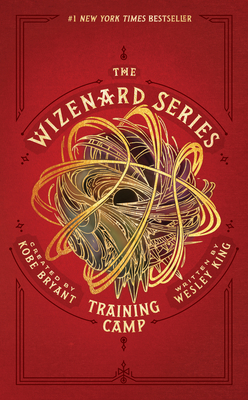 From the mind of basketball legend and Academy Award-winning storyteller Kobe Bryant comes this radically original portrait of five young basketball players, one enlightening coach, and the awesome transformative power of the game. Filled with insights about the mental stamina and emotional clarity that peak performance requires, this is an indispensable story for young athletes, coaches, educators, and anyone interested in the astonishing potential of team sports to unlock individual growth. Magic doesn't seem possible for the West Bottom Badgers. They're the lowest-ranked basketball team in their league, and they live in the poorest neighborhood in Dren. Nobody expects them to succeed at anything. Plus, every kid on the team has secret struggles of his own. When a new coach named Professor Wizenard arrives on the first day of training camp, the Badgers can't explain the magical-seeming things they see and hear. Every player experiences unique and strange visions--visions that challenge everything they thought they knew about basketball, and about their lives and their secrets off the court. To survive the increasingly intense ordeals of training, the Badgers will need to take unimaginable risks, learn to trust their teammates, and confront the darkness within themselves. Kobe Bryant is an Academy Award-winning storyteller and content creator. He spends his days building stories to inspire the next generation of athletes to be the best versions of themselves. In a previous life, Kobe was a five-time NBA champion, two-time NBA Finals MVP, NBA MVP, and two-time Olympic gold medalist. He hopes to share all he learned with young athletes around the world. Wesley King is the award-winning author of eight novels. His works include OCDaniel, The Vindico, and 2018's A World Below. His books have accumulated more than ten literary awards and multiple Junior Library Guild Selections and have been optioned for film and television and translated for release worldwide. When he is not writing, Wesley travels extensively around the world and gives workshops and presentations for thousands of students annually. Wesley is also known for his height (6′7″) and his fondness for all things Star Wars and sports.